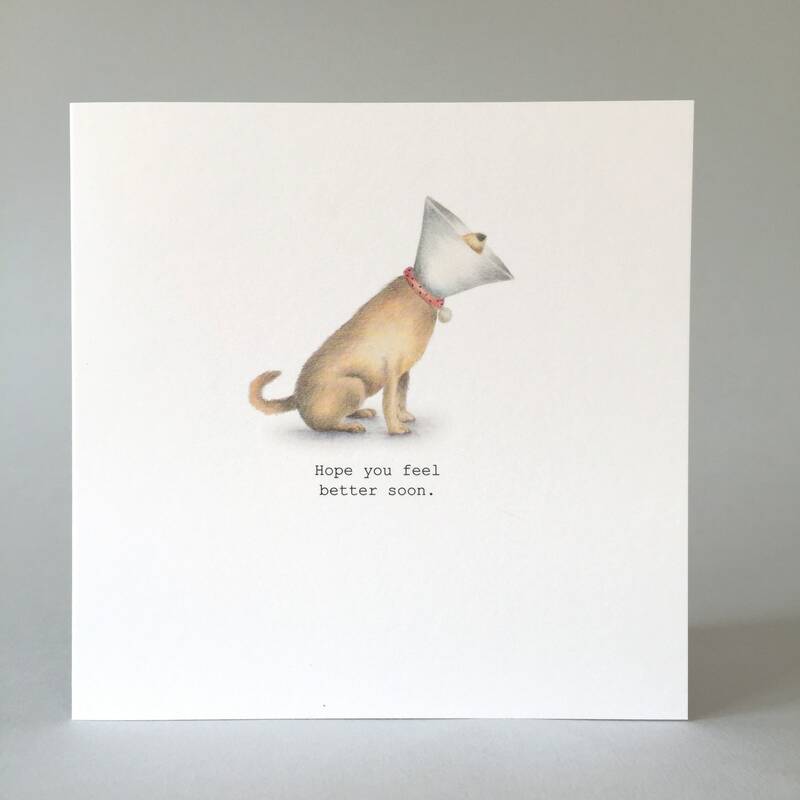 A funny Get well soon card featuring a pawly dog ( geddit?). 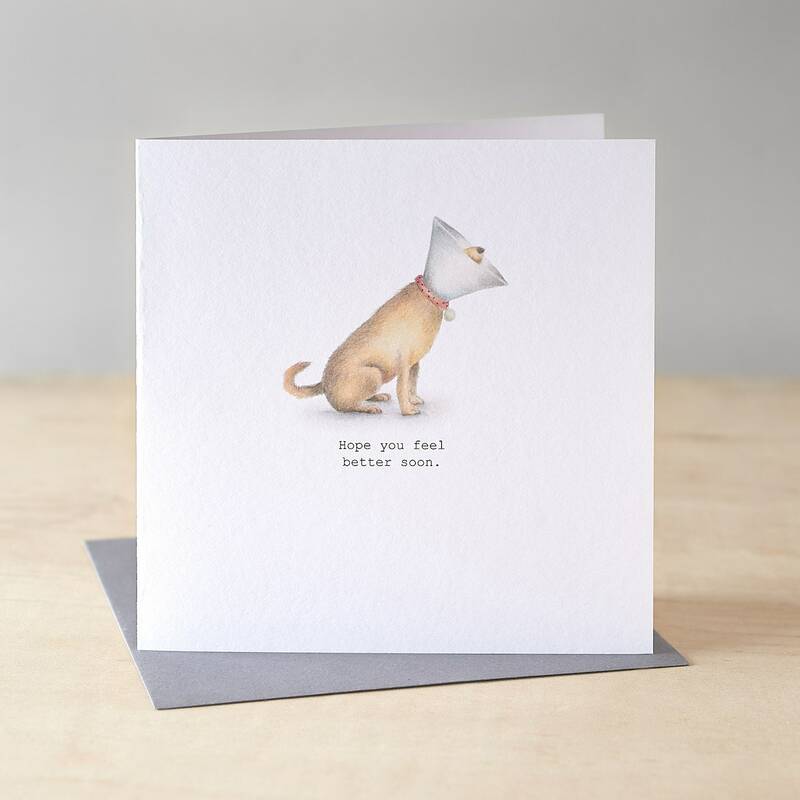 He is wearing a cone and you can just about see the tip of his nose. Bless. The illustration is reproduced from one of my original watercolour paintings. The card is wrapped in a protective cello wrap envelope and sent by first class post (for free) in a hard backed envelope. What's not to love? 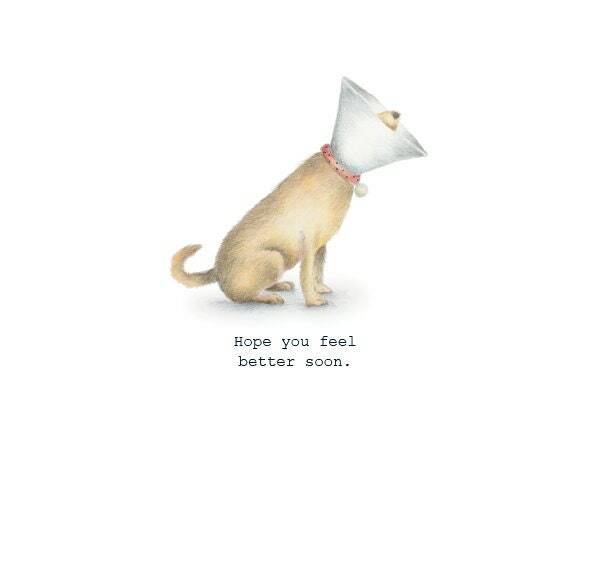 Cute as can be, thank you so much.